As mentioned before, The Duke Boutique Hotel is situated in the heart of the city centre of Den Bosch. Den Bosch is not the largest city in the world but if you look at the restaurants, shops and culture it offers, you can see why this city is so attractive to guests from all around the world. Den Bosch is a centuries-old fortress city built around the famous St. John Cathedral. The market square is the heart of our city. 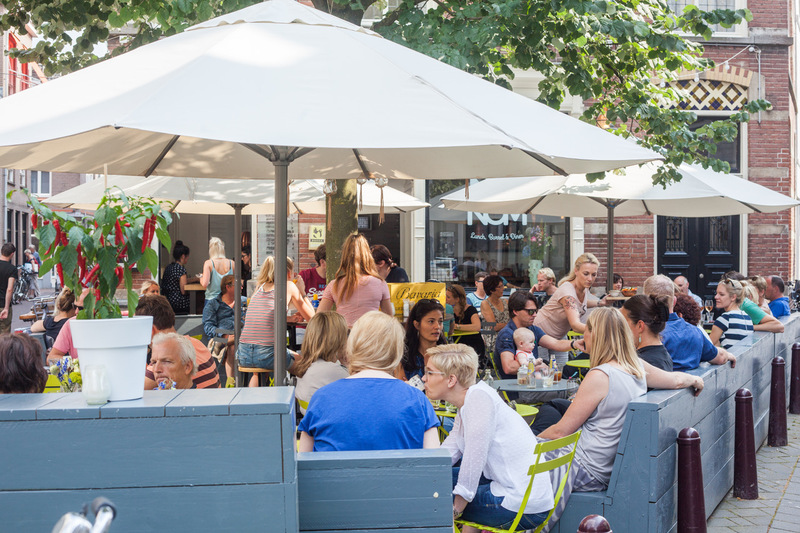 De Korte Putstraat is known for it's diverse offering of restaurants & bars with lovely outside terraces. Every member of The Duke's team is a local with knowledge and love for the city of Den Bosch. Don't hesitate to ask them for information. Our team is dedicated to make sure you get to experience all the great things our city has to offer and to make sure your trip will be an unforgettable experience. To park your car you go to one of the public parking’s within walking distance. De Wolvenhoek” parking is just slightly closer to the hotel. However, the “St. Jan” parking is newly built, with more spacious places. From the “St. Jan” parking you walk on a beautiful route, through the Casino garden and the Parade to The Duke Boutique Hotel. Of course you can also park at one of the “transferia” in the neighbourhood.